Andre de Villiers has scaled down his extremely popular Pathfinder design for a more comfortable pocket carry. 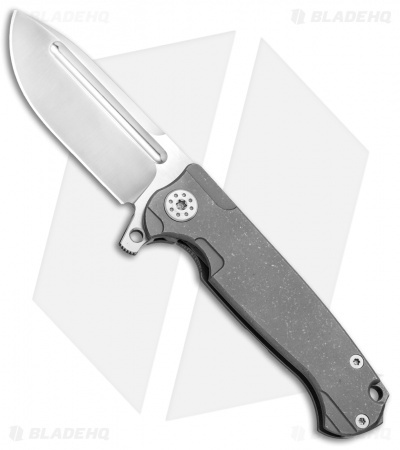 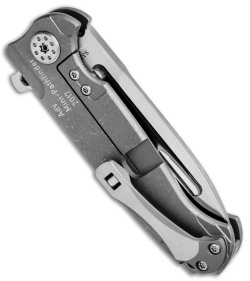 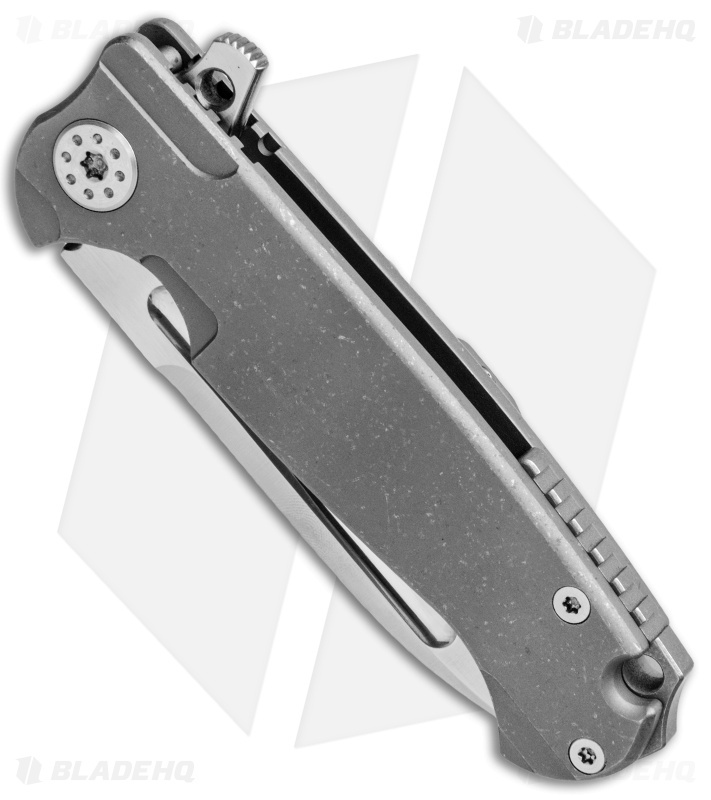 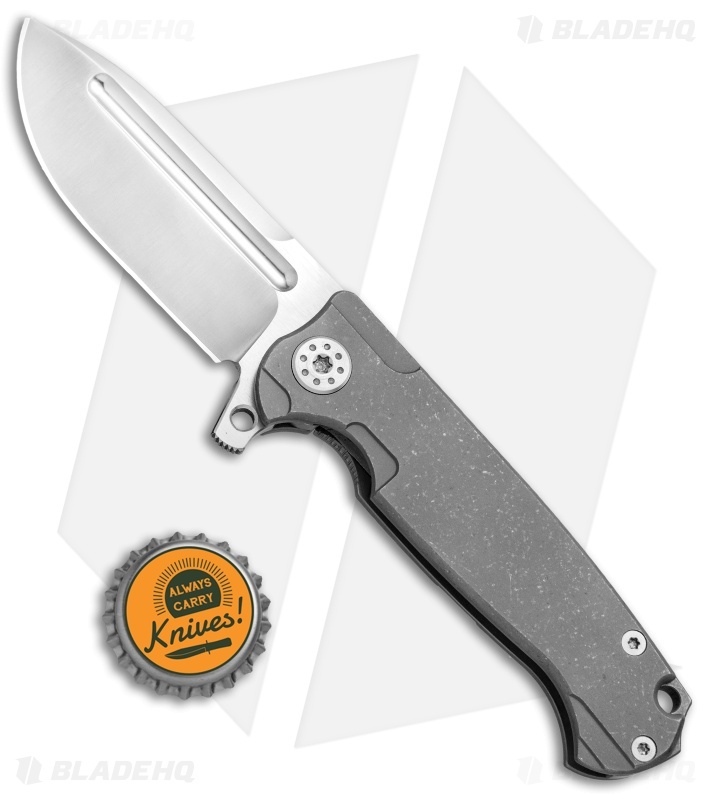 This Mini Pathfinder features a tumbled titanium frame lock handle with a notched backspacer and replaceable steel reinforced lockbar. It has a spear point blade made from S35VN steel with a satin finish. Satin hardware and a two-tone titanium pocket clip complete the resilient EDC design.